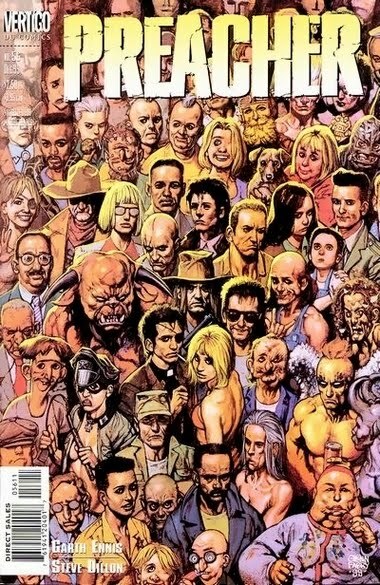 Before jumping into the current news, here's a breakdown on "Preacher" so far. HBO first had the idea of starting a mini-series based on the comic book with Mark Steven Johnson (Ghost Rider) hired to write. HBO later winced at the series, calling it too dark. Since then Columbia Pictures picked up the rights and hired Charlie and the Chocolate Factory scribe John August to pen a feature length film. Sam Mendes was hired to direct, but recently bowed out to direct the next installment of 007. Leaving "Preacher" with no director but a shooting script. Recent at WonderCon, Frosty Weintraub over at Collider sat down with "Preacher" producer Neal Moritz. The producer who has his hands in multiple projects including a 5th Fast and the Furious film, a Escape From New York remake and another adaptation of Sinbad had a few things to say surrounding the current status of the "Preacher" project at Columbia. First off producer Neal Moritz explains that he hopes to have "Preacher" in front of cameras by next year. He said, "I hopefully will be shooting that movie next year." While the film is minus a director he and writer John August are currently talking with unnamed prospective director. Moritz said, "Sam Mendes is going to go off and do the Bond movie, so there’s another director that we’re talking to right now." Moritz explained that John August's script is definitely an R rated film and was penned with more than one film in mind to tell the entire story. Moritz also eluded that August may himself direct the film if another director does not come aboard. Two things to take away from these current developments. One, it is a major disappointment that Sam Mendes has left the project, although I wish him well with 007. Two, thank heavens John August's script was penned with multiple films in mind. 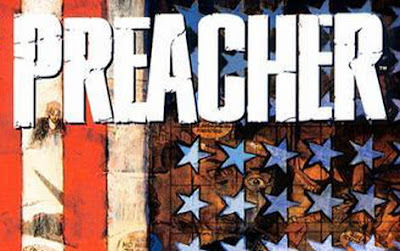 The Preacher saga is too detailed to cram it all into one film. 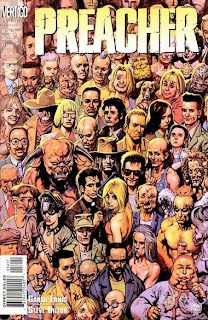 I am a huge fan of Garth Ennis and Steve Dillon's Preacher and pray that it is done justice. I'd hate to see the wrong director come aboard and the film go to garbage. Here's to hoping Columbia, Neal Moritz and John August find the right guy for the job. Stay tuned for more "Preacher" updates as they become available.